Wooden Acorn Necklace comprised of antiqued brass acorn cap, bayong wooden bead and an antiqued brass chain. The grain and coloring of each bead will be different in each necklace as seen in the last photo. It shows the dark and light colored beads. The dark ones are listed separately. Antique brass findings are nickel and lead free. 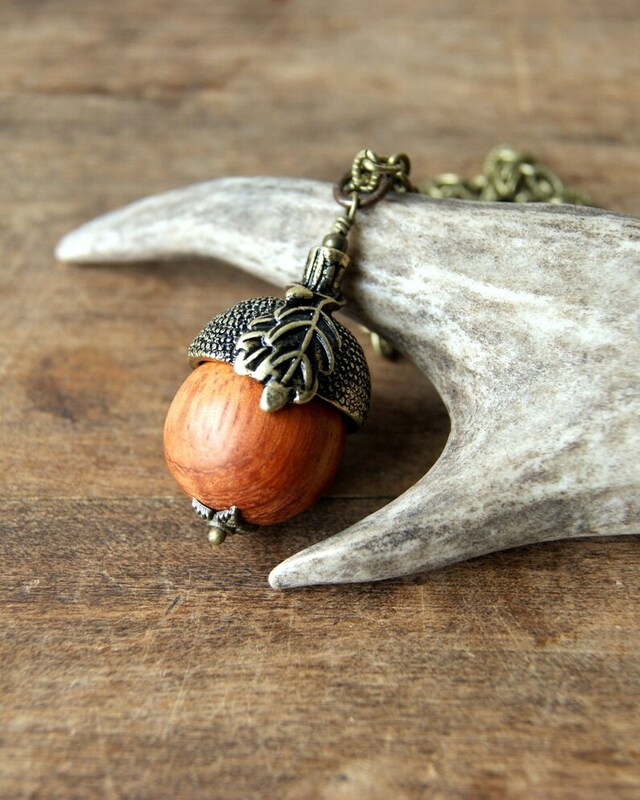 The acorn pendant measures 1 3/4" or 4.4 cm. You can see how big they are in the last two photos. Choose length at checkout: 20". 22". 24". 26". 28". Amazing as always. My relative loves these earrings!